In an incident, on this day in 1772, that some regard as the first naval engagement of the American Revolution, local colonists boarded the Gaspee, a British vessel that ran aground off the coast of Rhode Island, and set it aflame. The locals were very angry with the British and even though they were still British subjects they had begun to resist the British colonial authorities and government. In the run-up to the American Revolution, there was growing tensions between the American and the British colonists. The Americans were in disagreement with the British over issues such as taxation. The Americans believed that the British were unfairly taxing them and that they were exploiting them. One of the most contentious issues was that of tariffs. The Americans deeply resented the tariffs that the British imposed on American imports. This led to a lot of smuggling. The Gaspee was pursuing the Hanna, an American smuggling ship, when it ran aground off Namquit Point in Providence’s Narragansett Bay, Massachusetts on June the 9th. Many local people had sympathy for the smugglers as they believed the British had imposed unjust and unfair duties on imported goods. This meant that many locals hated the British and those Americans who helped to enforce the custom dues and other taxes on imported goods. When the locals saw that the Gaspee had run aground they saw an opportunity to show their anger at the British. Many of the colonists, were merchants and traders and the British system of tariffs and other duties were causing them real problems and in general was pushing up the cost of living. That evening, John Brown, an American merchant angered by high British taxes on his goods, took a boat and rowed out to the Gaspee with a number of his fellow colonists and seized control of the ship, from the British crew. They were all disguised. They overpowered the crew, and once they were safely out of the way the Americans set the Gaspee afire. The British were angered by the burning of the Gaspee and saw it as little short of an act of rebellion. When British officials attempted to prosecute the colonists involved in what became known as the “Gaspee Affair,” they found no local were willing to testify against those who had set fire to the ship. This one again renewed tensions in the British-American relationship. The burning of the Gaspee inspired the Boston Patriots to found a local “Committee of Correspondence,”. This was a propaganda group that called on Americans to their cause by publicizing all anti-British activity and sentiments that occurred throughout the 13 colonies. This was very important as it helped to turn many colonists against the British administration and government. 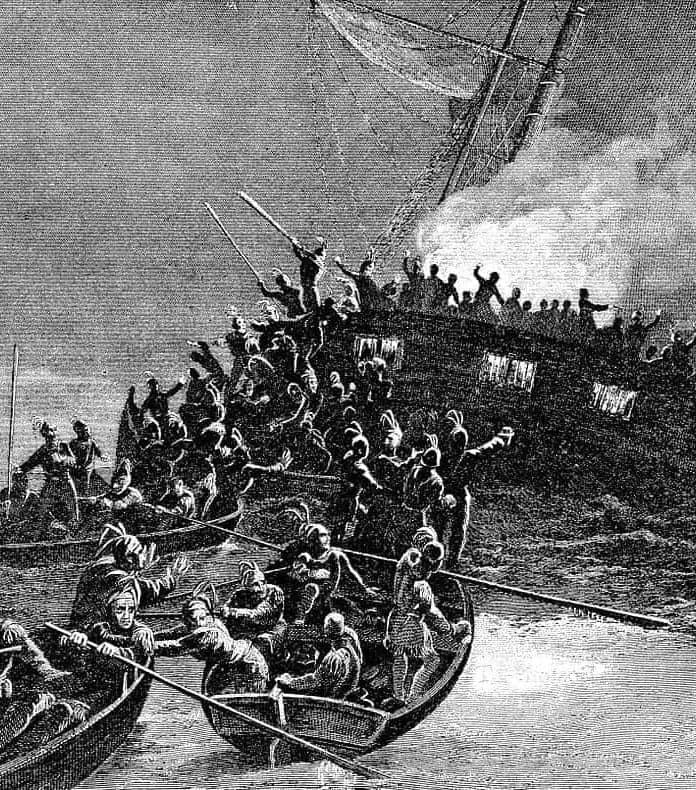 The Gaspee incident can be seen as one of the most important events in the run-up to the American Revolution and the attack on the ship may be seen as inspiring the later and more widely known Boston Tea Party.